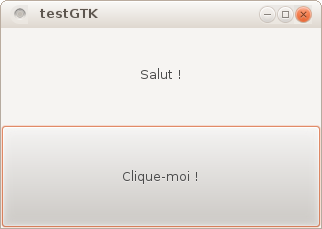 Objectives : compile a C/GTK+3 application under Linux, and produce a valid Windows© binary. As the GTK+ 3 Windows binaries now have an official distribution, we will be able to use to create a Windows version of our application, without modifiying the source code nor having a Windows box available. A Linux Debian or Ubuntu distribution. - Download the latest all-in-one bundle ZIP archive directly from the official website (here's a direct link for impatients...). A new executable should have been created if everything went well. It won't run on our Linux system, because it's targeting Windows !